This Safari Printable Kindergarten Worksheet Pack is a perfect resource for kids who like bright colors and jungle animals. 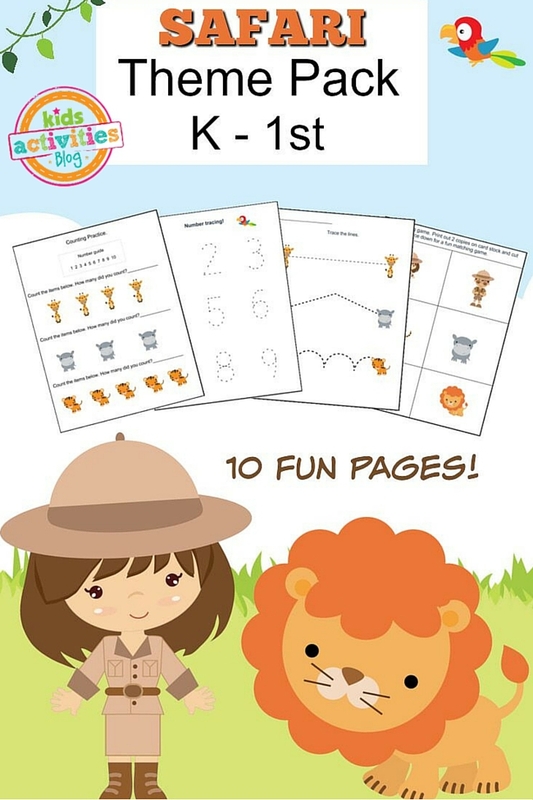 This printable pack has 10 pages with a great variety of activities. It may even make your children wild about learning! Click here to get your printable pack! 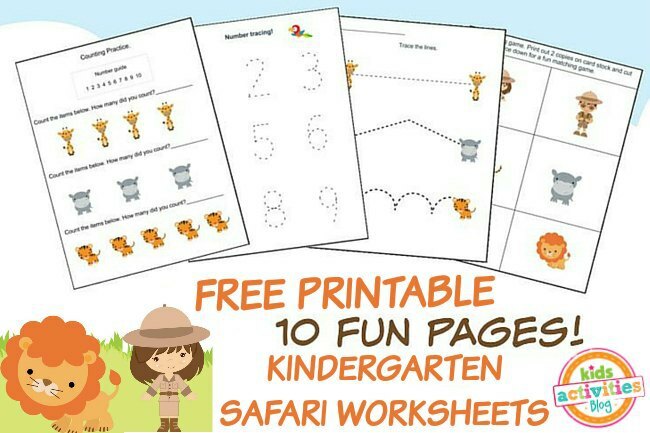 Take your kids on a learning adventure and make a whole safari themed morning or afternoon centered around this worksheet pack. Your kids can work on the printable pack, have Animal Crackers for a snack, play with a Barrel of Monkeys and color some jungle animals. Previous Post: « Little Girl And Boy Play Fight, But When He Hits Her In The Back It’s ON!